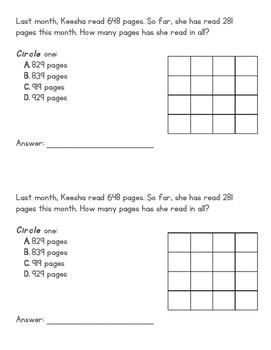 This assessment is a half-page booklet is easily copied, cut in half, and stapled. 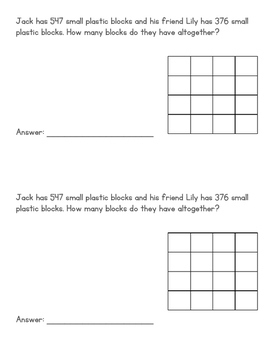 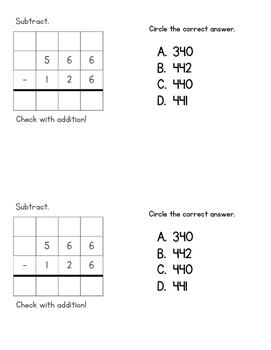 The assessment has a mixture of addition and subtraction word problems with 2-digit and 3-digit numbers, as well as just bare problems. 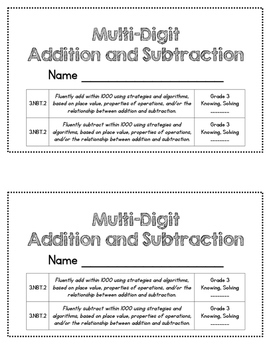 I use grids to help students line up their digits when re-grouping and un-grouping.